the Farm and Your Table? Simple Hot Water. 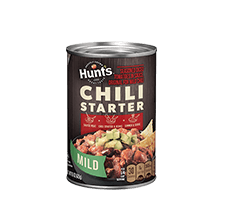 At Hunt's, we believe it's good to be different. We peel our tomatoes with FlashSteam instead of chemicals, which means no chemical by-products go back into the earth. It might not be the easiest way, but we believe that it's the right way. Tomatoes aren't just our job, They're our way of life. 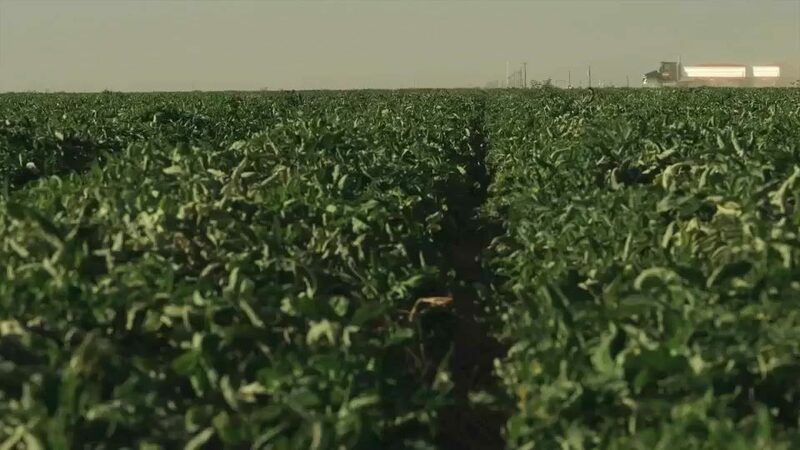 Our tomatoes are grown under the warm sun of Oakdale, California—a place with some of the richest soil on earth, and some of the most dedicated farmers on earth. 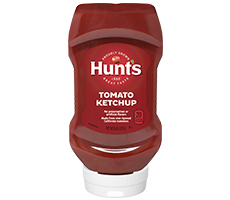 This tomato town is the home of Hunt's, and since 1888, we've been doing tomatoes our own way. The natural way. A different way. "Some people call me 'The Tomato Guy.' And for whatever reason, I like tomatoes. I understand them. I've been with them for over 40 years." 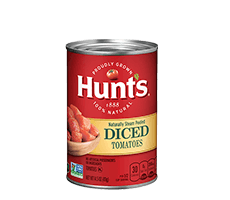 We pick Hunt’s tomatoes at the peak of ripeness and can them within hours. Other tomatoes—even the ones in the produce aisle at the grocery store—ripen either on the truck or in ethylene gas. Why Oakdale, California? It's the perfect place to grow tomatoes. California gives plants at least eight hours of sunlight a day, which is the ideal amount of sunlight for optimal sweetness. 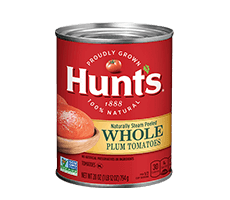 Hunt's tomatoes ripen naturally on the vine. That means they're soft, fleshy, and full of juice and flavor on the inside. And you can taste the difference. We peel all of our tomatoes with FlashSteam instead of chemicals like lye that some other companies use. Which also means no chemical by-products go back into the earth. Approximately 465 trailer loads of fresh tomatoes come down through the valley and into our plant every single day. 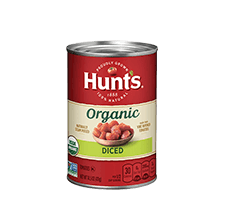 And since we pick our tomatoes at the peak of ripeness, every single tomato is canned that very same day. 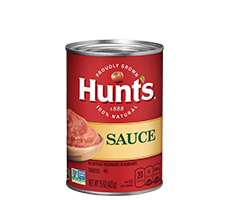 We use each and every part of the tomato to create the full line of Hunt’s products. So we have no waste, with no related transportation energy or impact on landfills. Hunt's tomatoes are 100% natural—with no artificial preservatives. Sometimes doing things differently is just the right thing to do. 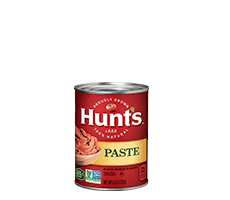 It might not be the easiest way, but here at Hunt's, we believe that it's the right way. 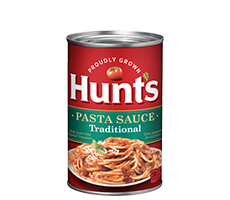 That's why you can be sure that every time you create a meal with Hunt's tomatoes, you're cooking with the very best.